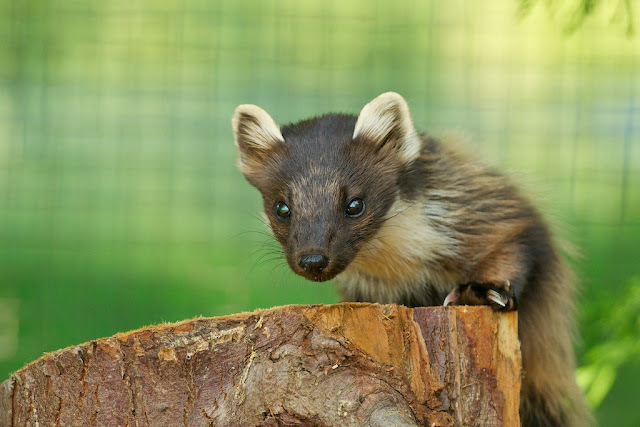 At the end of last year we acquired two new pine martens at the BWC. 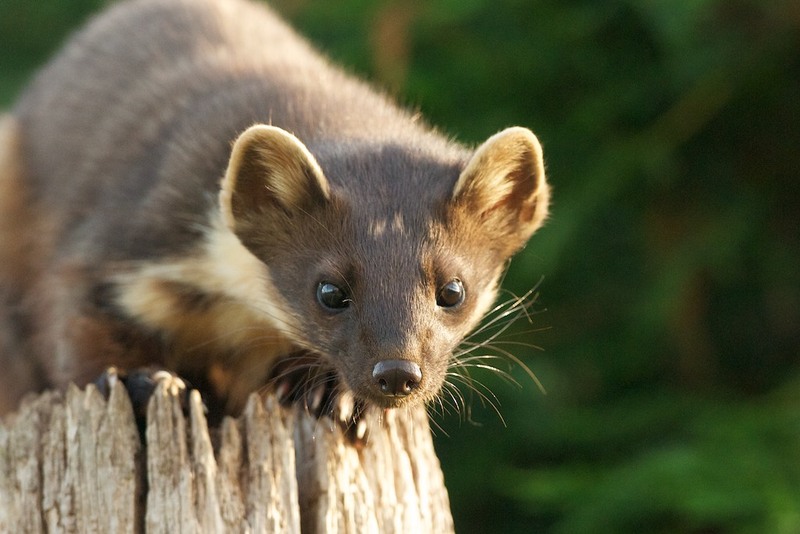 Those that know me well, or have followed my blogs, know I that the pine marten is my favourite animal. 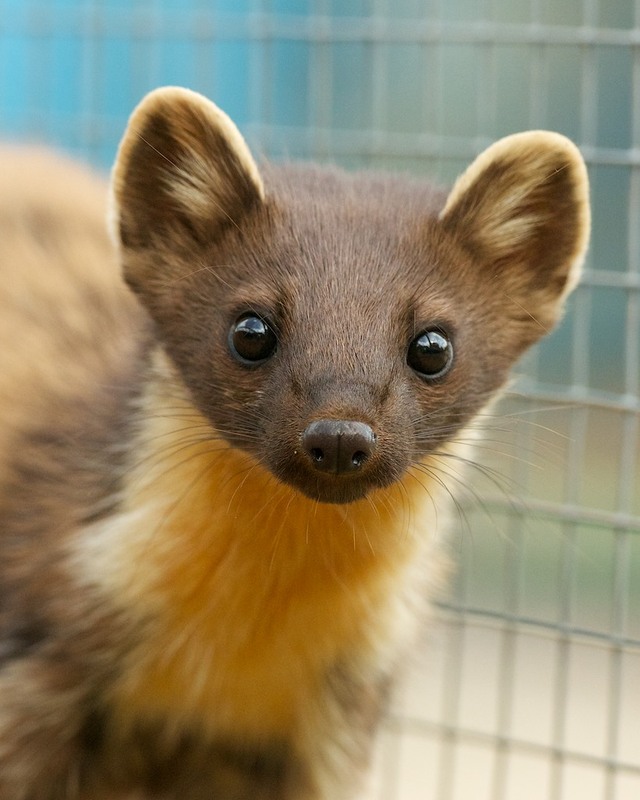 I have a particular bond with one of our females called Bonnie, a story I have told many a time, and may repeat here at some point in the future. Anyway, after moving our new male Drogo on to display earlier this year, I felt the time was right a few weeks ago to start some training. The evening where lighter, I had some time and he had settled well and even started following us around when we went in to feed him. He now hand feeds well, a bit snatchy, but that will calm with time. Fingers and jam is still a way off, but I will get there :-) Will he ever be as "friendly" as Bonnie or Clyde?.. I would be surprised, but then you never know. Feeding comfortably I then started getting him used to the camera, being tempted to different areas of the enclosure, and the shutter going off. He doesn't keep still! But I have managed to get a few photos I am very happy with! The light in the evening is good, but only falls in patches in his pen, and move around quite quick. I managed to catch it right in a couple of cases though and while he is learning to pose and go where I ask, I am learning where the light falls at different times of the evening. It is a work in progress, and one in which we both have to help each other out and work together. This bond with an animal is what I love, and is really pulling me back to my roots... something I need at the moment. I am beginning to learn his limits, and he is beginning to really trust me when I ask him to do something new. Handsome chap ain't he! :-) He is a good lad, and I am thoroughly enjoying my evenings with him. I haven't forgotten the others, I still spend time with them all, but since they are so steady I can afford a bit more time with Drogo at the moment. 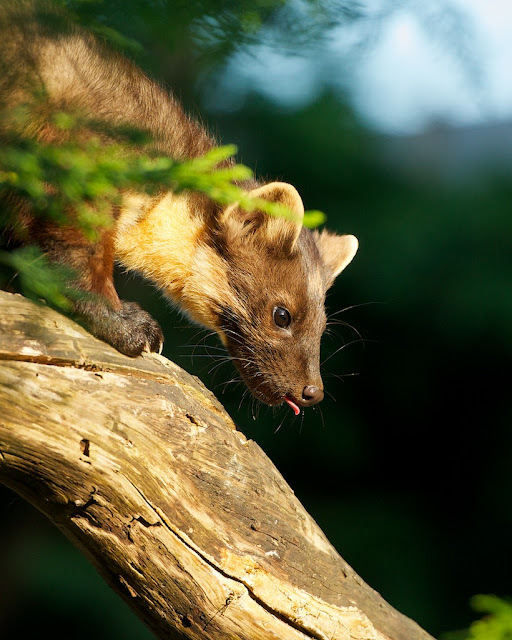 Our other new pine marten, Daenerys, is still housed off display. She will be on display at some point, but it will mean retiring one of the others off so will take time to see who and when is best. I have been working with her too. I have spent many an evening with her already, but not really training. Only watching and getting her used to me being there. The other week I started, and originally thinking she would take a long time to "tame", she had proved me wrong and is making much faster progress than Drogo, despite me starting later with her! Isn't she beautiful! A real stunner. 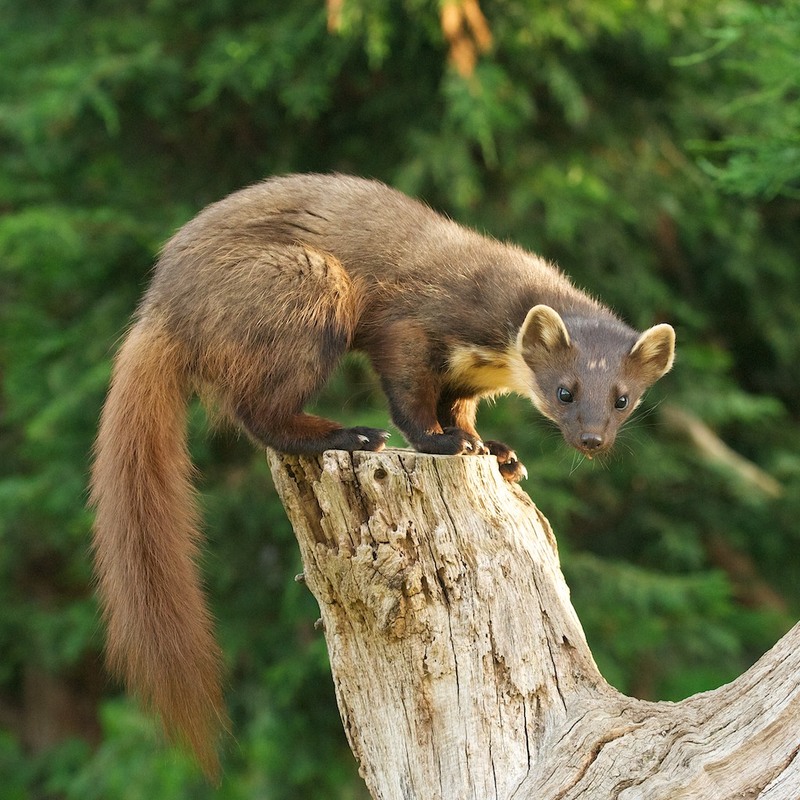 Bonnie will always be my number one girl, but I don't think I have ever seen a pine marten more beautiful than Daenerys! 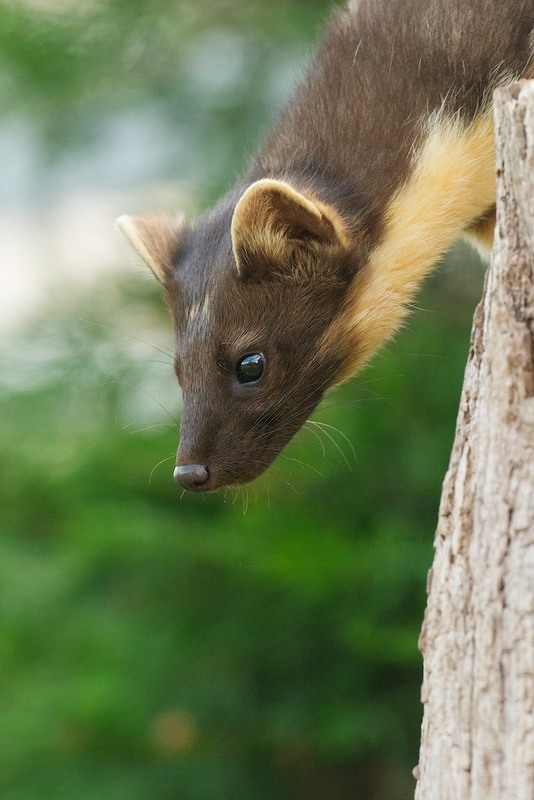 The pen has poor backgrounds for photographs, but I just wanted some record shots and was happy with the above. 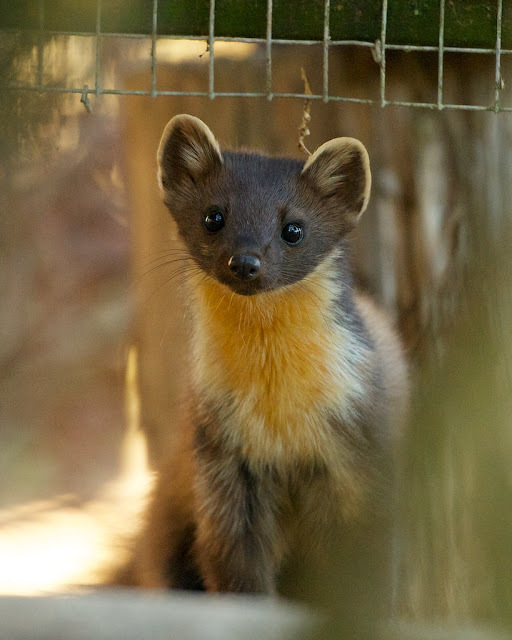 While working with the two newbies, I realised I didn't really have any good photos of Hamish, another of our martens. He is a small male, a little runty actually, but full of character and personality. Here is one I took of him the other evening. I will post a video of them feeding soon, just a couple more clips I hope to get before editing.